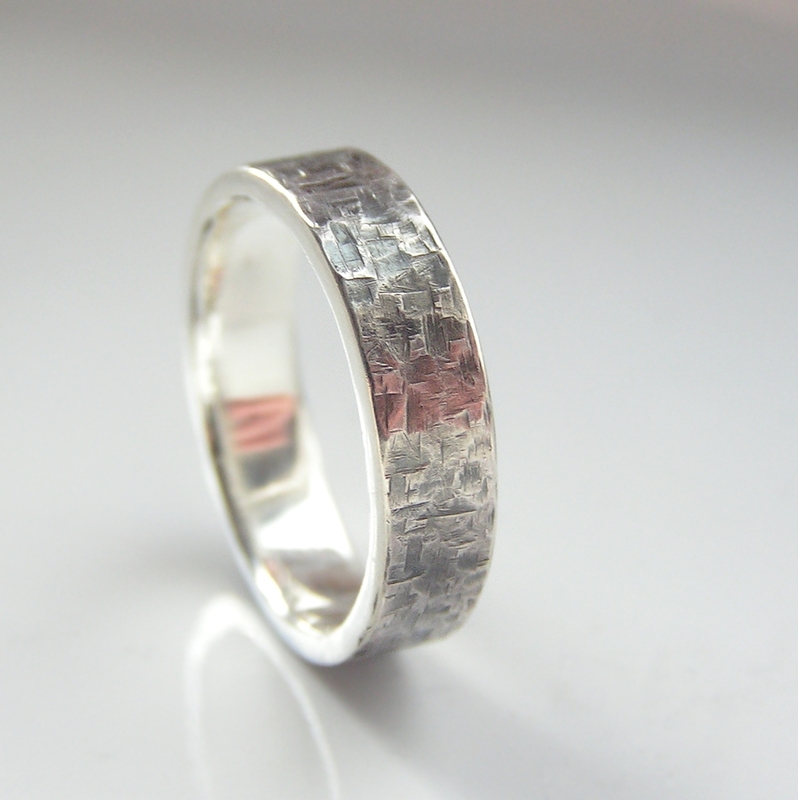 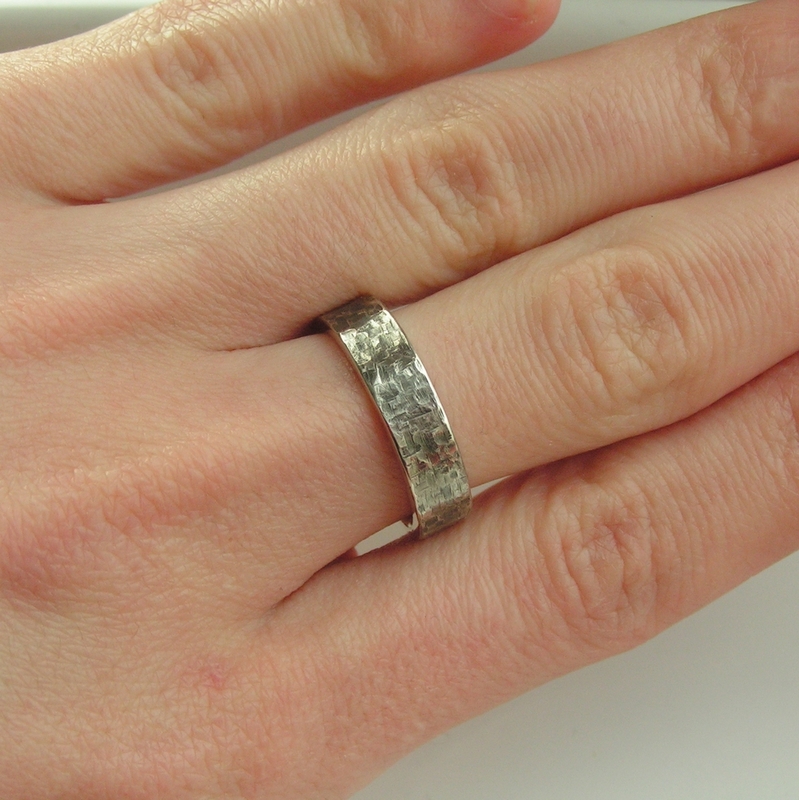 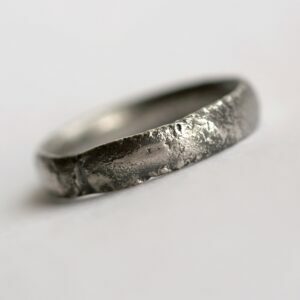 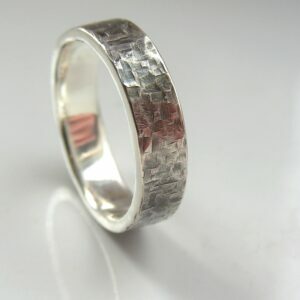 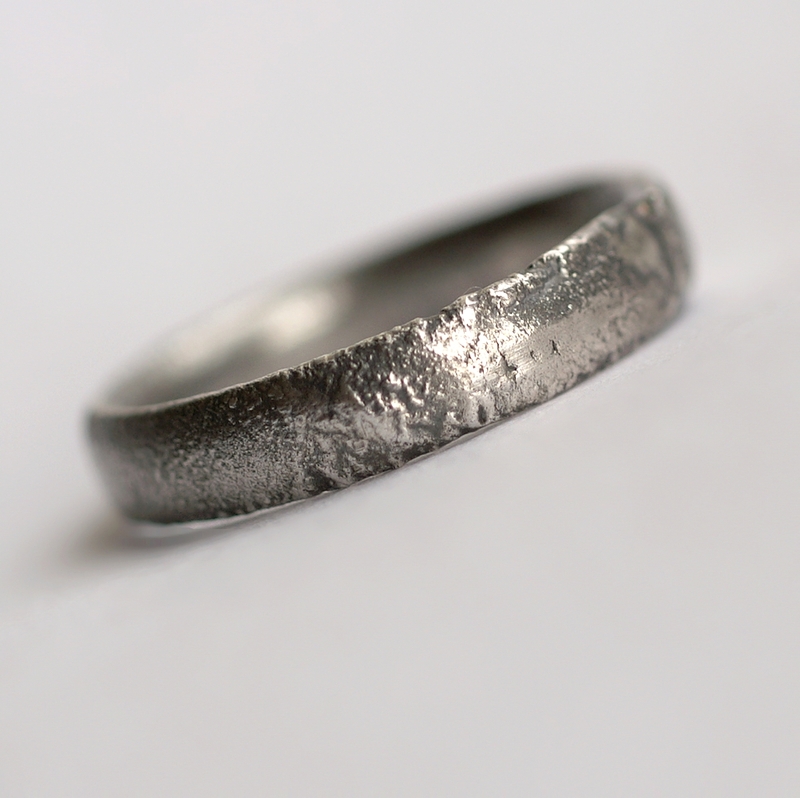 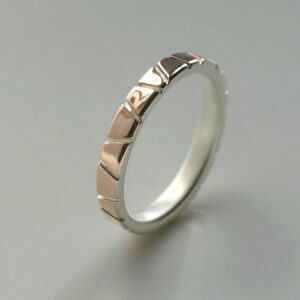 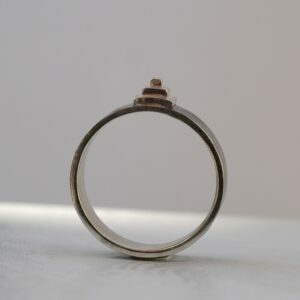 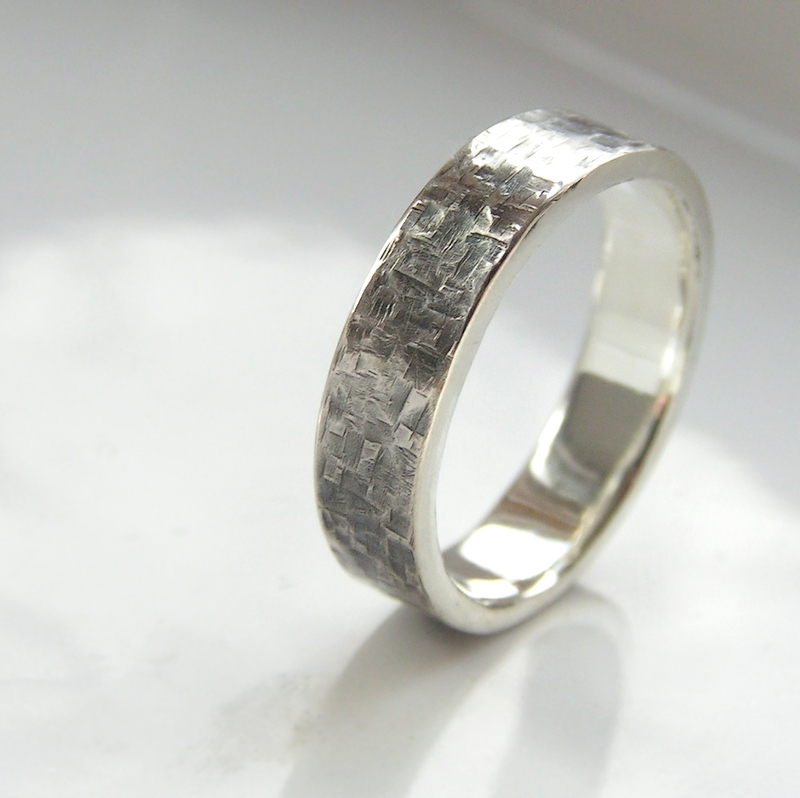 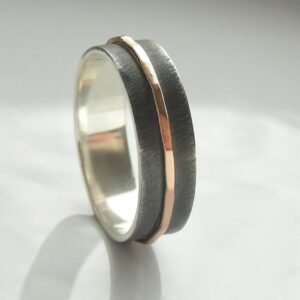 Unisex ring or men's band decorated with rock resembling hammered texture. Unisex ring or men’s band decorated with rock resembling hammered texture. 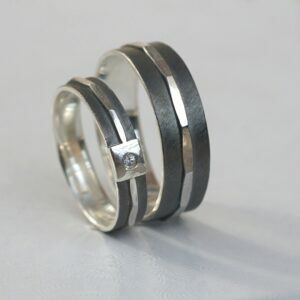 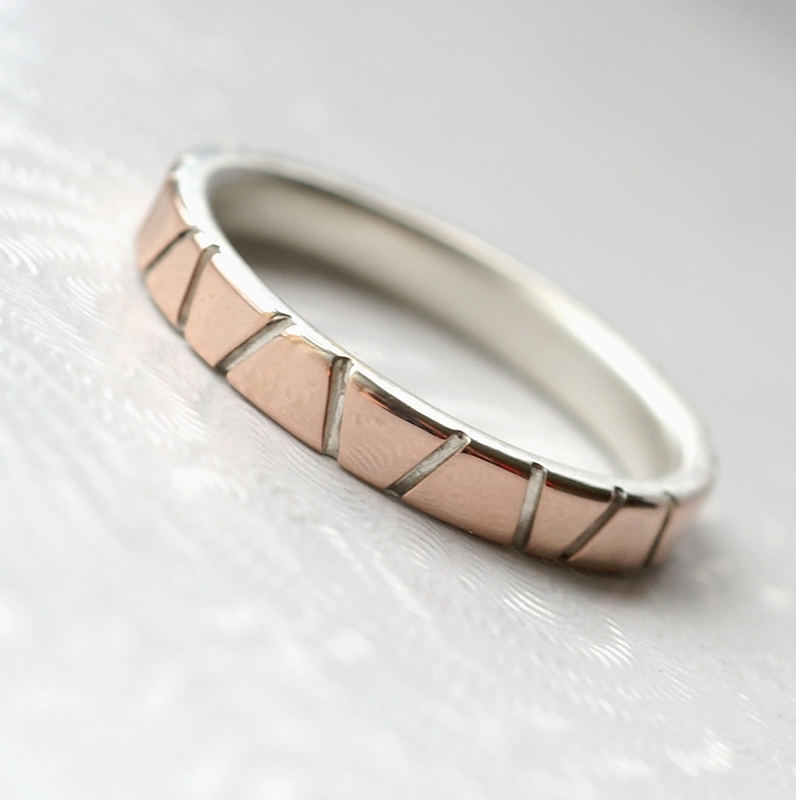 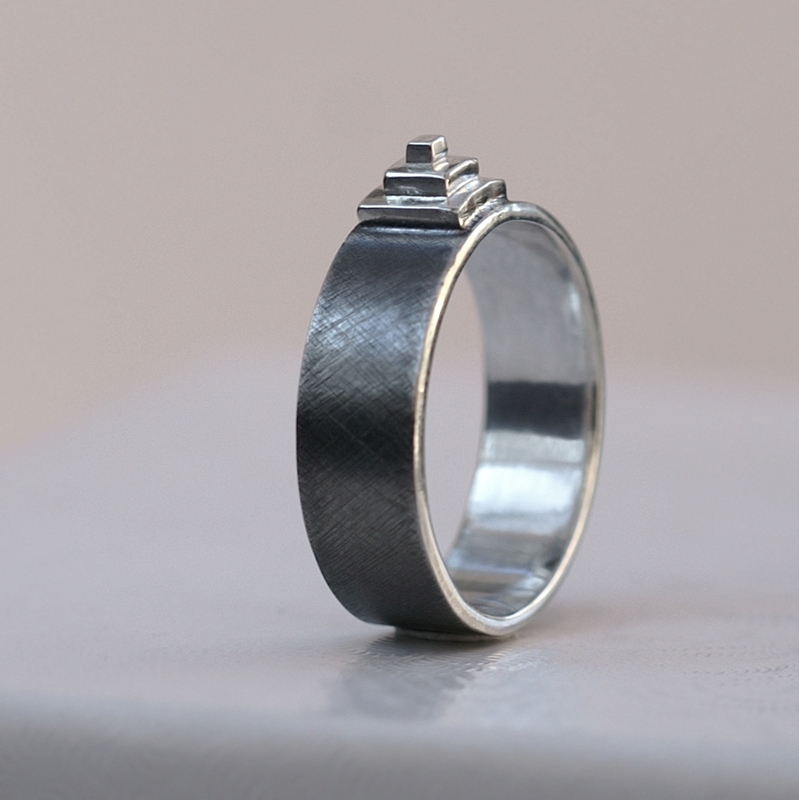 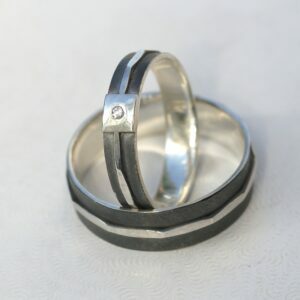 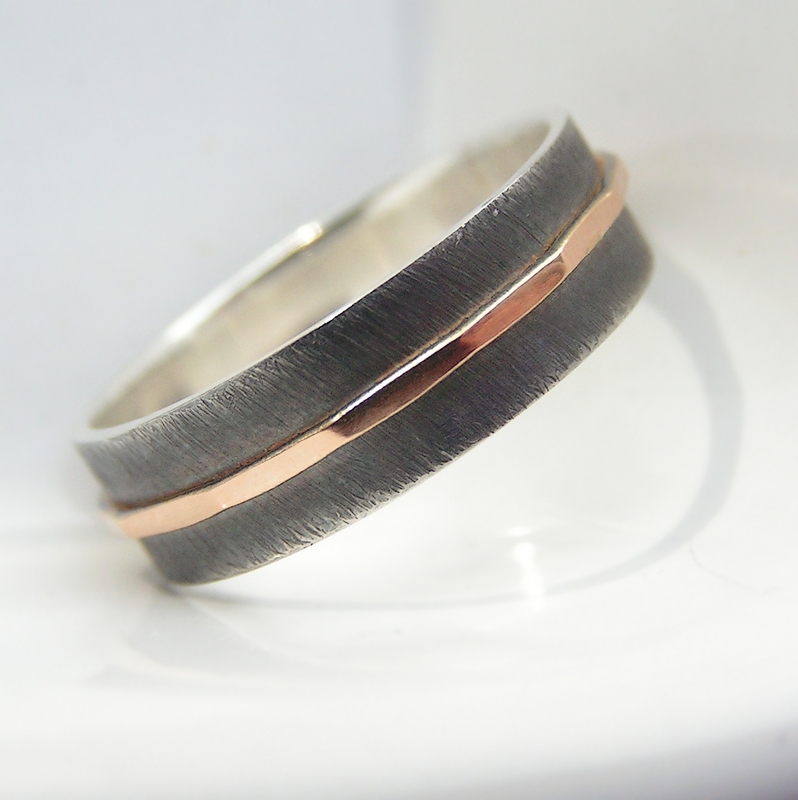 Made of sterling silver, oxidized and polished to high shine.